“The universe contains any amount of horrible ways to be woken up, such as the noise of the mob breaking down the front door, the scream of fire engines, or the realization that today is the Monday which on Friday night was a comfortably long way off. I came across an article the other day on favorite Dallas Dog Parks. Reading the list, I realized I had not been to one of them – NorthBark Dog Park in far North Dallas. We have had Isaak since February or so. People ask how old he is and I say about a year. 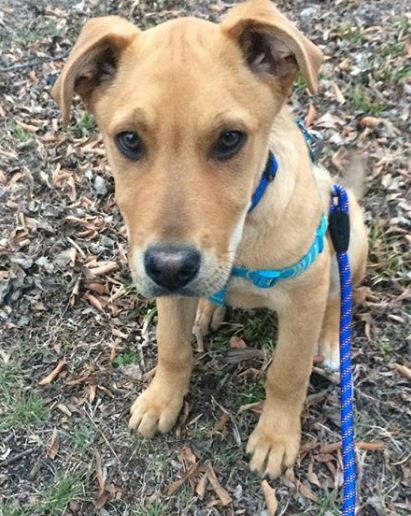 He was a rescue from Dallas Animal Control so we don’t know for sure – though I’d bet he is about a year old now. People ask what breed he is and we have no idea. We’ve sent his DNA test off, but haven’t received the results yet. Isaak as a puppy, when we first picked him up in February. It’s been fun socializing him – so I’ve been taking him to the Richardson Dog Park whenever I have time. When he first arrived, he didn’t understand that a leash met go for a walk, not lay down on the ground. So I worked with him along the trail in back of our house. One day, early on, I picked up a book and dragged him to a little bench on the hike/bike trail that runs along the creek behind where we live. I sat there, reading, so he could get used to dog walkers, joggers, and such. He did good, interested in the passersby, but not going nuts. Oh man… I didn’t like that. I especially didn’t like it because it was true. I was some old man sitting on a park bench with his dog, reading a book. At any rate, back to today, I decided to take Isaak to the NorthBark Dog Park – since we had never been. It was farther than I anticipated, but after a wrong turn or so, we were there. I took Isaak into the big dog section first and he had fun doing his usual dog park thing – running and playing dog dominance games with the other dogs there. After a bit he settled down and rested under a tree. I could see next door dogs swimming in the pond in the wet area – chasing after lures and retrieving them – thrown out into the water by their masters. Isaak had never been in the water but I decided to give it a shot. We moved over to that part of the park and walked around to the back side where the bank was shallow. And, to my surprise, after a bit he jumped in the water and started to play in it. He had a bunch of fun running around on the bank and then plunging in. 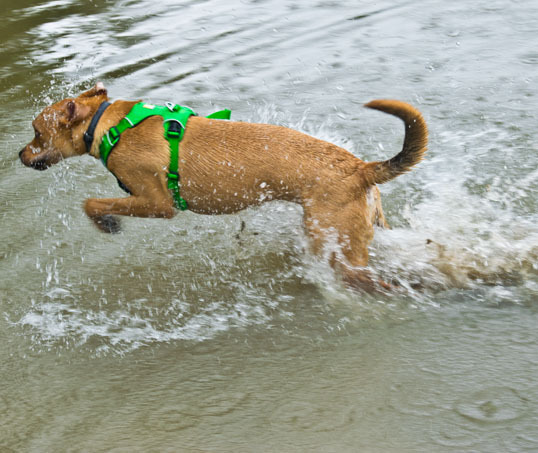 He would jump up and down, then dash out of the water again. Only one time he ventured deep enough to swim a little and was a bit intimidated by that. 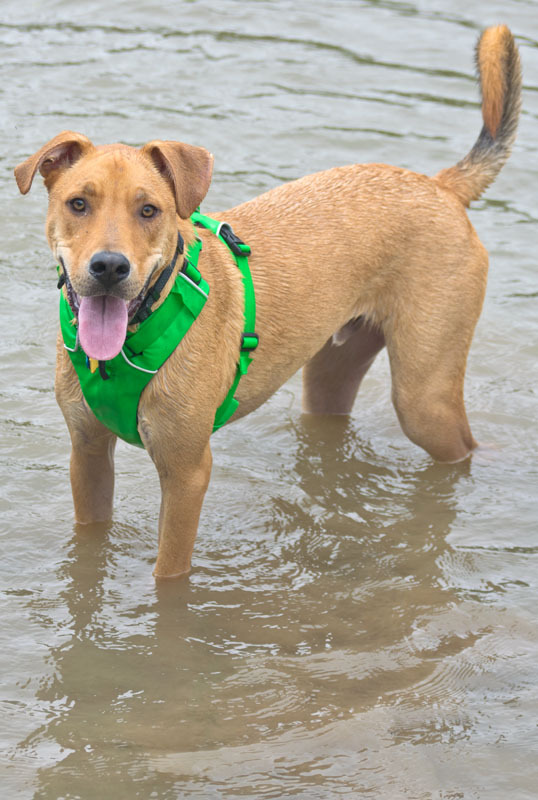 I walked with him around to where the real water dogs were swimming and retrieving and I talked to a couple of women about how to train a dog to do that. I need to work on teaching Isaak to fetch and return first, then start him off in shallow water. I think he’d enjoy that, I think. What do dogs enjoy anyway? When we were done I hooked his leash on a pole and gave him a wash with a hose supplied for that purpose. 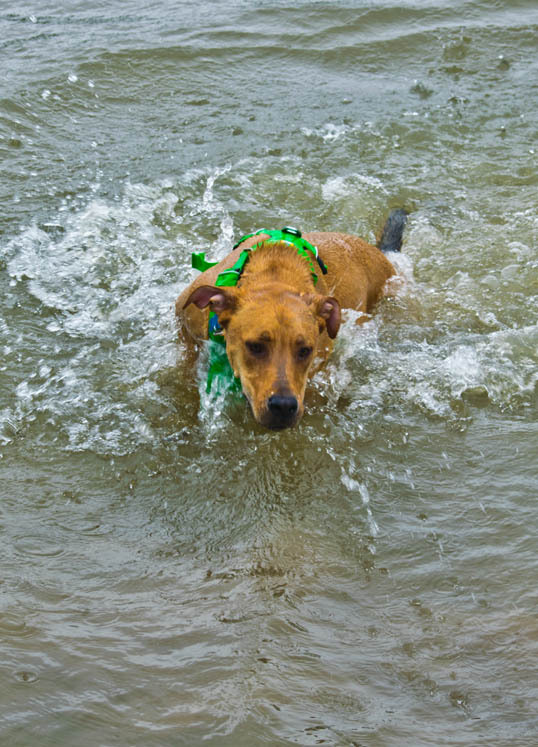 This entry was posted in Daily Epiphany and tagged Dallas, Dog, dog park, dogs, northbark, postaday, postaday2018, swimming, Texas, water. Bookmark the permalink. I’m mostly not a dog person, but I enjoy reading about good dogs, and it seems you have one. He’s a handsome fellow. Thanks, Yeah, I think he’s worth the ten dollars we paid for him (though he has cost a lot more than that since, of course).